Service providers are rapidly adopting ‘As-a-Service’ cloud applications across the entire Quote to Cash workflow to increase agility in their operations. 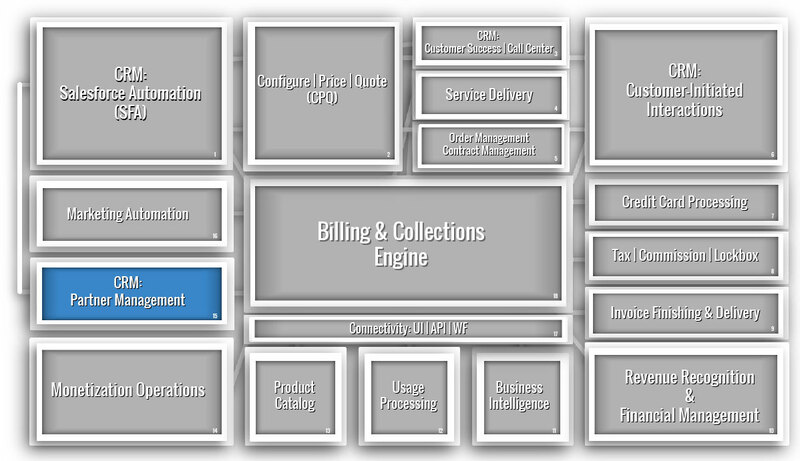 Yet many approach these deployments like point solutions, making costly mistakes and slowing time to value. We help CIOs balance technology investments with supporting people and process initiatives to ensure successful implementations. 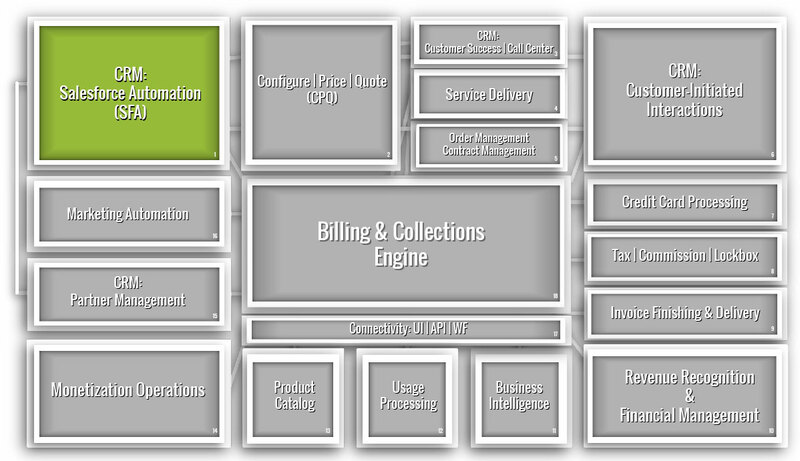 Our deep domain experience with cloud application implementations span across the entire ATG Monetization Ecosystem™. 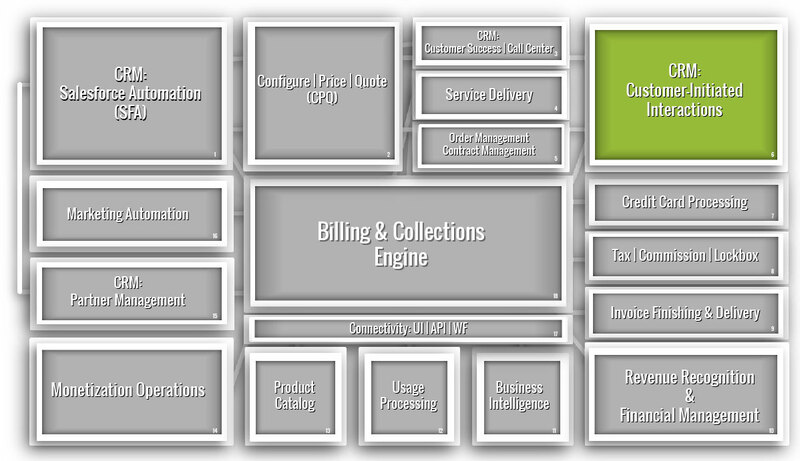 At the heart of the ATG Monetization Ecosystem™ is CRM, CPQ, CLM, and Billing. ATG has developed special accelerators to streamline the implementation while stepping through up to 75 different processes to ensure no stone is left unturned for a smooth and timely implementation. Salesforce Automation (SFA), typically a part of a company customer relationship management system, is a system that automatically records all the stages in a sales process. Most complex, multi-channel selling environments now include an online business model, allowing an enterprise to reach a worldwide audience, and potentially generate exponential company growth. 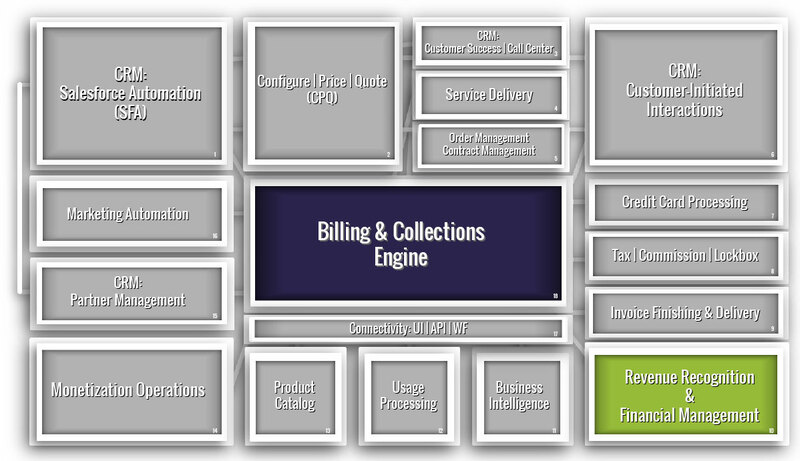 Credit Card Processing is a key component of most service-based billing processes. 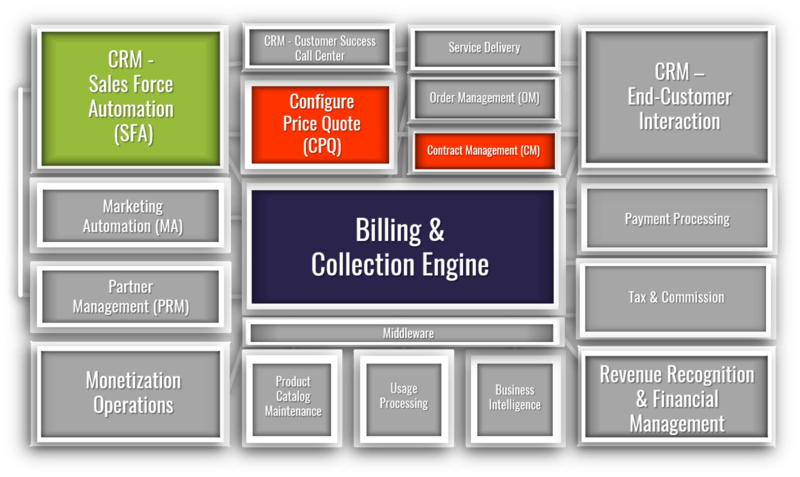 Partner Management processes and systems support a variety of third-party reseller business models to achieve the goal of extending the business reach to a larger customer base. 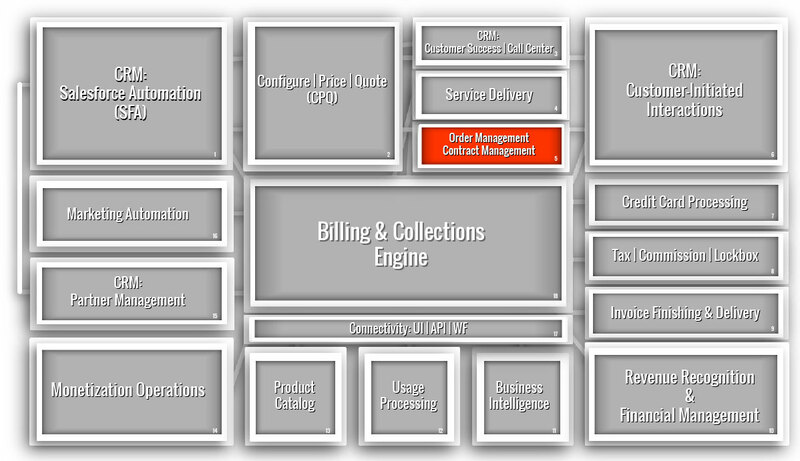 Order Management and Contract Management implementations result in a number of benefits, including automation of approvals and execution, consistency in legal language, visibility throughout the contract lifecycle, and a central repository for storage. 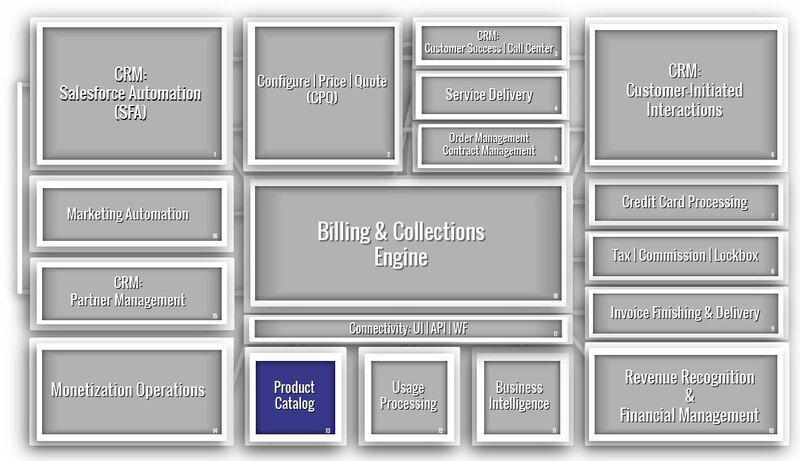 Product Catalog, in its simplest definition, is a listing of sellable products and services, and how they are configured and sold. 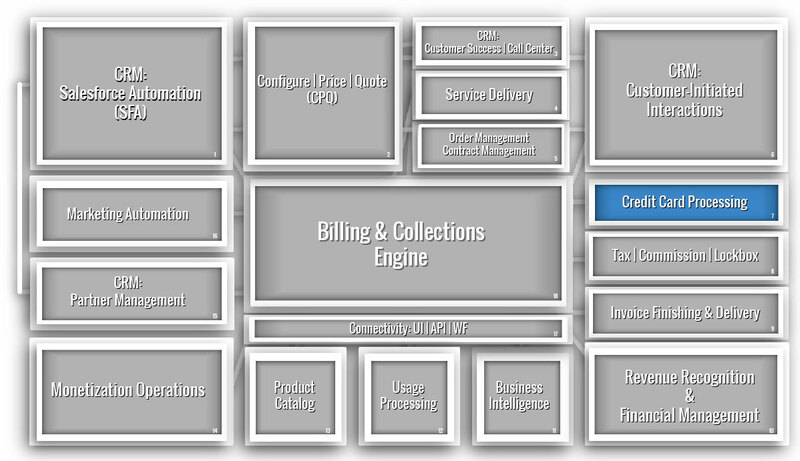 Billing systems need to access and process upstream data. 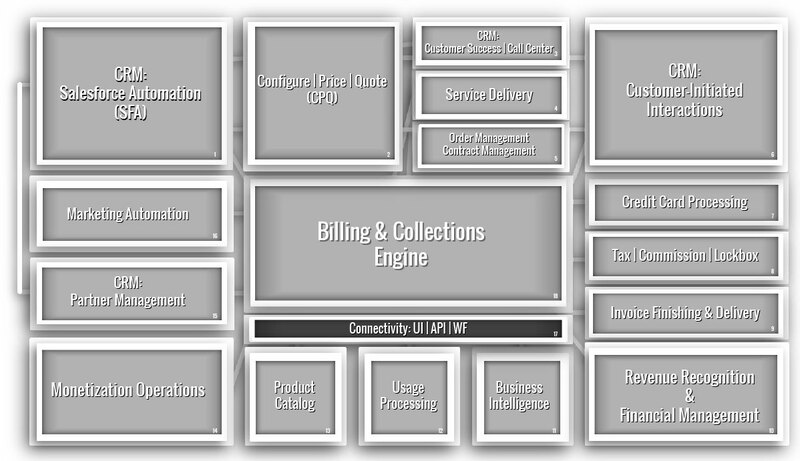 Application connections are methods of using the core functionality of a billing system to input upstream data, interact with data models, and manage data processing in support of billing operations. 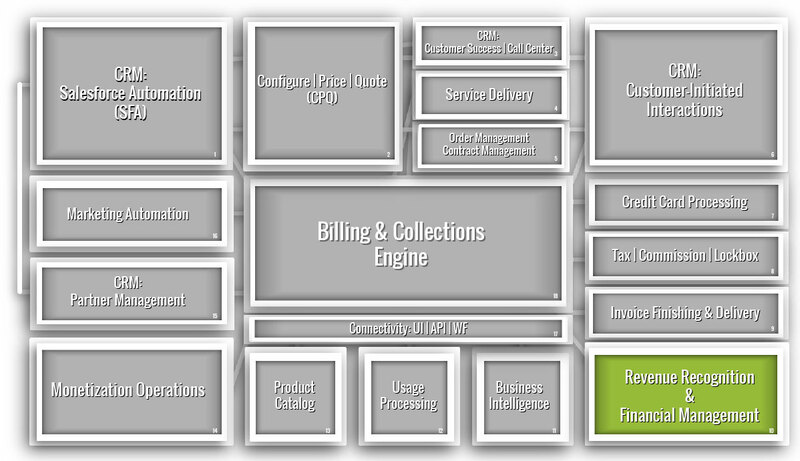 Payments represent customers paying for the invoice or services that they received from a service provider. They can be one-time, upfront payments for a physical good, or they can occur on a periodic basis for a recurring or subscription based service. Revenue Recognition is defined in multiple ways by multiple standard setting and regulatory bodies with a seemingly endless list of considerations, rules, exceptions, and headaches.